Makeup is available for any special occasion. 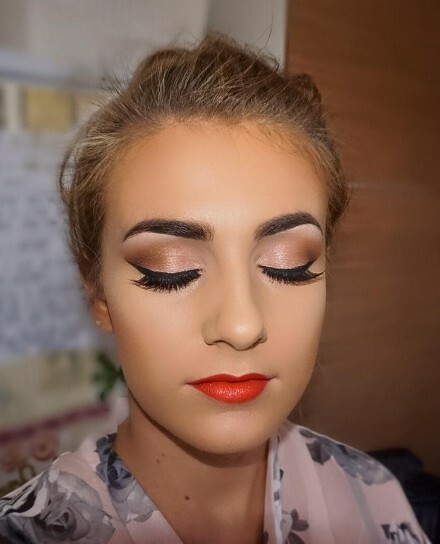 Whether it’s your birthday, prom, a day at the races, a wedding you are attending or even just a night out with your friends, I can create any look you desire. Contouring, smokey eyes, cut crease, glitter, soft and natural – the choice is yours. If you have an idea in mind please feel free to bring any images you like the look of. Trials are also available for special occasion makeup if you would like to know exactly what you will look like on the day. I also welcome group bookings for special occasion makeups for hen parties, birthdays etc. If you're ready to book your session, or need some more information, please feel free to get in touch!